These rankings reflect PDT Solicitors' strong commercial approach and its ability to deal with complex transactions, consistently attracting high quality, high value work. "We decided to shout a bit more about our successes in our work which has led to the acknowledgements we have received in the recently published Legal 500. We are really pleased with our successes and can only say.. there's more to come"
Commenting on the firm the Legal 500 identified Head of Corporate, Noel Ruddy's "extensive expertise" and that he is "recognised as a national asset-based lending expert who stands out in the field" in the work done in "its particularly active asset based lending team". Rebecca Glazebrook's "very commercial and deal friendly approach" was recognised in the work in the highlighted matter advising the shareholders of Atomwide on the sale of the entire issued share capital of the company to AdEPT Telecom. The acquisition, which was valued at £26m, included managing several groups of sellers. The arrival of Andrew Hoad has added another "solid corporate lawyer" to the team as well as "significantly strengthened its banking credentials" that extend to MBO and MBI financing, to pharmacy financing in the pharmaceutical, dental and healthcare arena, as well as in the charity sector with James Clewlow acting for CAF Bank on a number of large redevelopment schemes. Elsewhere in real estate and healthcare PDT were noted as "excellent in all respects" with James Clewlow being "easy to work with and providing vital advice and support", being a "superb negotiator and very good at anticipating one's needs" and bringing "a very good level of understanding of the specifics of the pharmacy market". 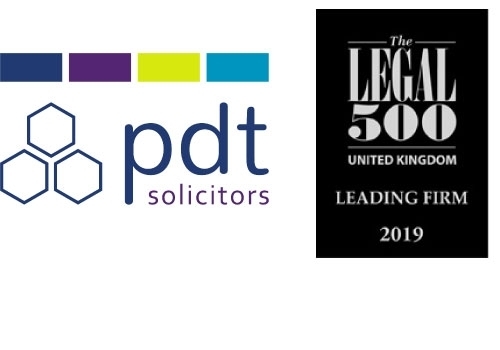 The Legal 500 also praised the PDT insolvency and corporate recovery team for its "class-leading knowledge of the asset based lending market", "fast response times" and "great strength in depth". 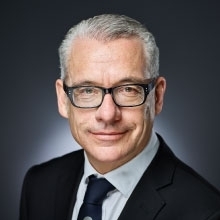 William Angus was highlighted as a "very effective and experienced litigator" noting his settlement of a long-running loan payment and unlawful dividend claim for client Wilkins Kennedy. Noel Ruddy was highlighted as the "go-to man for asset based lending" leading the transactional and funding advice provided to Menzies, which was the administrator of Genie CCTV. Partner Ian Lindley was recommended by the Legal 500 as being "responsive, committed and constantly demonstrated an ability to produce quality work".